Intel have begun their rollout of their Core X-series CPUs, but will any of them make it into our guide to the best CPUs for gaming? 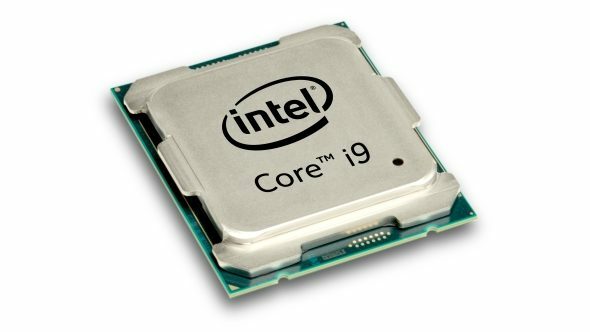 Intel’s official price list has been updated to include details of the 12-core, $1189 CPU, and it reveals the SKU will have a base clock of 2.9GHz – 400MHz slower than their 10-core offering, the Core i9 7900X. It confirms the i9 7920X will also feature 16.5MB last-level cache, in line with the new Skylake-X cache hierarchy offering 1.375MB/core of the L3 cache. This is where Intel have backed themselves into a corner with the high all-core Turbo speed of the decacore i9 7900X. The inaugural Core i9 runs with all of its ten cores hitting 4.3GHz, but it’s clear they’re not going to be able to get the more expensive 12-core chip to nail such frequency heights. And that’s going to mean that, in a lot of metrics, the pricier Core i9 will benchmark slower than its cheaper ten-core sibling. And it also calls into question just how quick Intel are going to be able to clock the 14, 16 and 18-core processors at when they come to jam in even more Skylake-X cores. Interestingly, this reveal also shows AMD’s competing 12-core CPU – the AMD Threadripper 1920X (everyone’s loving their Xs at the moment), will be 600MHz quicker, with a 3.5GHz base clock, for $400 less. The 1920X also features 64 PCIe lanes to the Core i9 7920X’s 44, and Turbo to 4GHz, making the choice between the two a bit of a no-brainer.